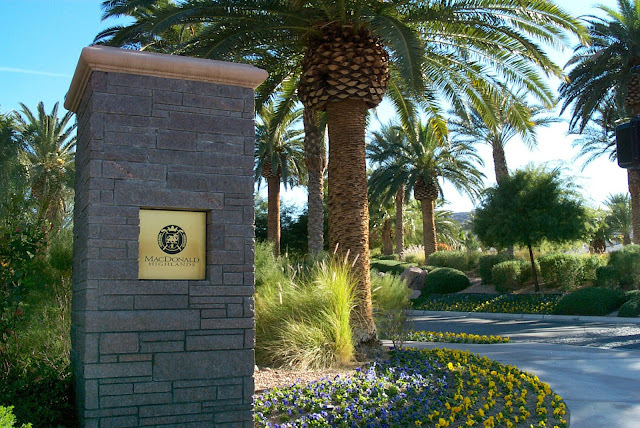 Located in the McCullough Mountain foothills, MacDonald Highlands offer luxury homes and building sites to residents wanting the privacy of a gated community, yet only minutes away from the life of the Strip. Its private clubhouse, the Dragon Ridge Country Club, hosts a golf course, pro shop, steak house, grills, and pool. The fitness center has 24 hour access and offers 4500 square feet of equipment, classes, lighted tennis courts, volleyball, and basketball. It is also convenient to Henderson’s shopping, casinos, entertainment, and amenities.